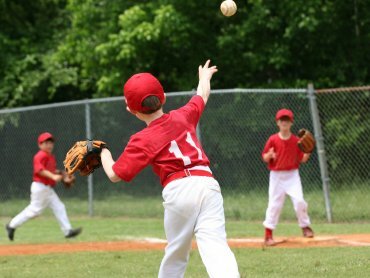 The first skill we teach young players is how to throw a baseball. Then we teach them how to catch a baseball. The next learning step is fielding groundballs. Learning how to field a ground ball is harder than learning to throw or catch a ball and it takes years to be good infielder. Let me tell you a quick story. When I was coaching my middle son’s t ball team, we played a team that taught their pitcher to roll the ball to first base. Lots of our players hit the ball to the pitcher and he rolled the ball over to the first baseman and they would get an out. This worked well for them at this age and they won most of their games. Some of my parents suggested maybe our team should try that. But I said no. The other team was making outs, but they were not learning as much as they should. Those players were not getting the experience of throwing or catching a ball during a game. And the first baseman was picking up rollers, not fielding groundballs. Young players should be taught to play the game the right way from the beginning. I know they will not catch the ball probably more than 10 percent of the time, but that is how they learn. Now back to groundballs. If you are using real baseballs, then players should wear a protective cup. 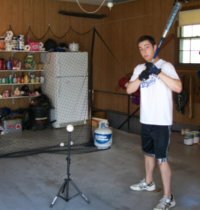 If you are using t balls, then they probably do not need one. And some players may want to wear a mouthpiece, especially if they have had some dental work done. One thing that is going to happen to every player that plays much infield is getting hit by a baseball that takes a bad hop. And it happens more to little leaguers than is does to major leaguers. Little league infields are not as smooth as big league fields. Most of the time a bad hop will hit off the arms or short hop the player into the shins. While these will hurt for a while, hopefully they will cause no more than a bruise. When the players get older they will be hitting the ball harder, so a young age is the time to get over the fear of getting hit. The way I was taught to field groundballs was called scoop, load and throw. It is a three step process, which is really what fielding groundballs is. Except after you get better at fielding groundballs, then you want it to become one fluid movement. The first step of scoop, load and throw is getting into the proper position Your feet should be spread about shoulder width a part. You stand on the front part of your feet, not flat footed. And you stand with your knees bent and bend forward at the waist. 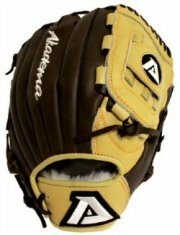 You start with your glove almost touching the ground. You are down and ready for the scoop. You always want to start with your glove very low to the ground. It is much easier to come up on a groundball than it is to reach down at the last minute. I’ve seen many a groundball go under a fielder’s glove. The fielder was just not ready for the baseball to stay so low to the ground. One more thing about the scoop part of fielding groundballs, you want to field the groundball out in front of you. Don’t let the ball get right on top of you. You should be fielding grounders out in front of your body. One way to practice this is to put a baseball bat out in front of you. The bat should be running parallel to your feet. Someone then hits or rolls you a groundball and you step up to the bat and lean out over the bat and field the ball. When you step up to the bat, stay a couple of feet behind the bat. 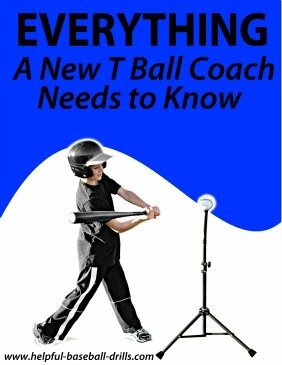 This helps you to learn to reach out in front to field a groundball. Once you field the ball, then stand up and reset your feet to throw the ball. Still stay bent at the waist slightly, or any position that feels comfortable to throw the baseball from. The foot on your throwing side should be back and the front foot should be pointing to the base you are throwing. Now you are ready to make the throw. Fielding groundballs is not over until a good throw is made. Before the ball was hit, you had decided which base you were going to throw to. You get your feet into throwing position. You look at the baseman you are throwing to and stride and throw the ball. It sounds so easy on paper, but fielding groundball is far from easier. 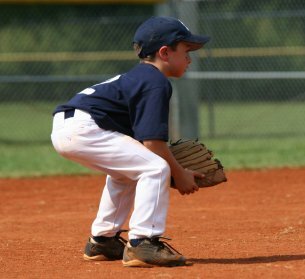 By the time a shortstop makes it to the major leagues, he will have fielded thousands of groundballs. This is a skill that is so important it is practiced before every game. Practice, practice and more practice is the only way to get better.